Mustapha Kanit is back in the headlines once again after he won yet another major poker tournament, this time the PokerStars Sunday Million on March 13, 2016. 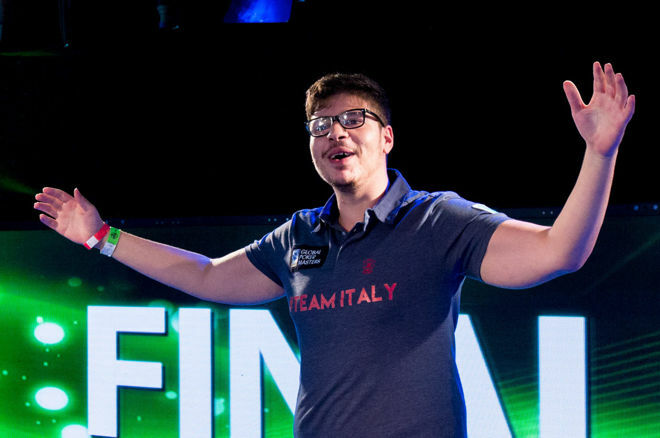 The seemingly unstoppable Italian bulldozed his way through a field of 5,717 entrants in the $215 Sunday Million to secure $177,229.79 and take his total online tournament winnings to more than $4.25 million, according to PocketFives.com. Kanit's Sunday Million victory comes only seven days after he triumphed in the $215 Sunday Supersonic, a hyper-turbo structured tournament at PokerStars, which typically takes less than two hours from start to finish. Playing as "lasagnaaammm," Kanit walked away with $47,999.89, which translated to an hourly rate of $34,285.63. Amazingly, Kanit's Sunday Million score is not the largest of his career, it is actually only the seventh-largest to date. In May 2014, Kanit won a $2,100 no-limit hold'em turbo event at PokerStars during the Spring Championship Of Online Poker (SCOOP) for $376,920 less than two months after winning the Full Tilt's FTOPS Main Event for $239,400. The SCOOP continued being kind to Kanit in May 2015 when he walked away with top honors and a cool $1,304,720 in the $10,300 Main Event. Add those winnings to the more than $6 million he's won playing live poker tournaments, and Kanit's career has seen him win over $10.25 million combined. It is an incredible run that Kanit is on and one that shows no signs of slowing down just yet. And because of all of this recent success, Kanit was selected as the No. 1 overall draft pick in the Global Poker League by the Rome Emperors. How long Kanit can continue to enjoy the success he has become accustomed to over the past couple of years? That's anyone's guess, but one thing is for sure, nobody is going to be happy if they find Kanit seated at their table anytime soon.